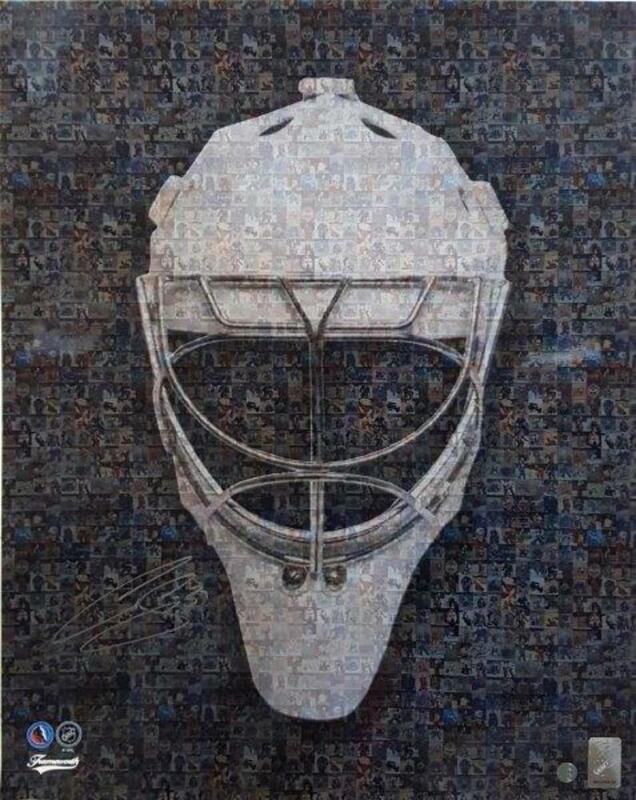 This 16x20" goalie mask collage has been personally autographed by Curtis Joseph. This 16x20" photo is the perfect start to an autograph collection where more autographs may be added on, or is a great stand-alone collectible. A hologram and certificate of authenticity are included.